New York Times Book Review Editor Pamela Paul has kept a record of every book she's read for the past 28 years. In My Life With Bob, she tells the story of her life through the books that have shaped it. My Life With Bob can be read as an engaging and often funny memoir. It’s also a delightfully gushing love letter to books — books as a medium that can connect us, transport us and transform us. Because Paul truly is besotted with books: reading them, holding them, talking about them, writing about them and even writing her own ... At heart, though, Paul sounds like anyone whose idea of a perfect afternoon is a comfy chair and an absorbing novel. 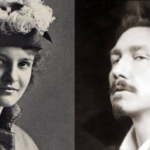 Fortunately for this reviewer, and for Paul’s readers-to-be, My Life with Bob is greater than the sum of its parts: a rollicking, intimate expedition through a brilliant booklover’s heart, mind, and life ... All too many memoirists of the female persuasion seem determined to preempt accusations of self-absorption by crafting themselves as excessively self-deprecating protagonists. Paul is one of them ... Despite this minor annoyance, My Life With Bob is a fun, accessible, well-written bookalogue. It is a confession of no small deficiency to admit that one of the last places on this earth I expected to find conspicuous public whimsy is in the current editor of the New York Times Book Review and, indeed, the Maharini of all New York Times book coverage. But there it is, big as life and just as brazen on the dust flap of this book ... Such ingenuousness is verboten in many book places but I don't see why it should be. Much of it is a good deal more charming and substantive and less solipsistic than it might sound. Reading Flashman on a vacation was enough to make her dump her boyfriend, a Flashman fan. There are, after all, myriad ways for books to be useful to us. In the words of Marvin Mudrick 'books are not life but then what is?' Exactly. 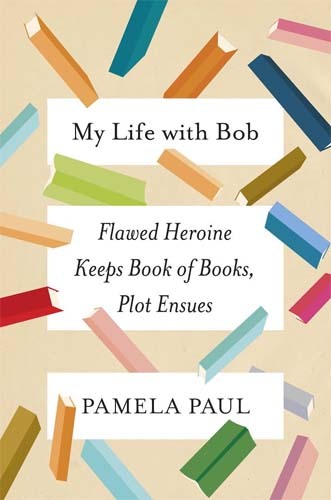 What did you think of My Life with Bob: Flawed Heroine Keeps Book of Books, Plot Ensues?